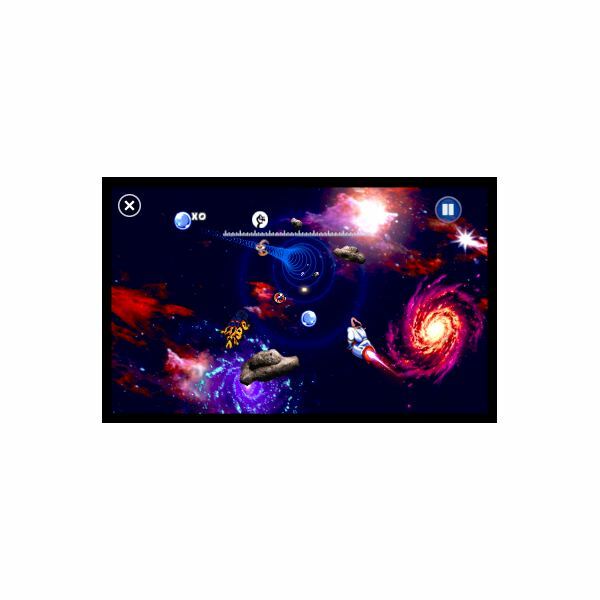 The range of Xbox LIVE games for Windows Phone 7 keeps growing, with Earthworm Jim HD now available for the popular mobile gaming network. If you’re a fan of retro titles, this one might just be for you – Earthworm Jim HD is a high definition remake of the classic platform title which features a mutated worm in a spacesuit fighting evil. 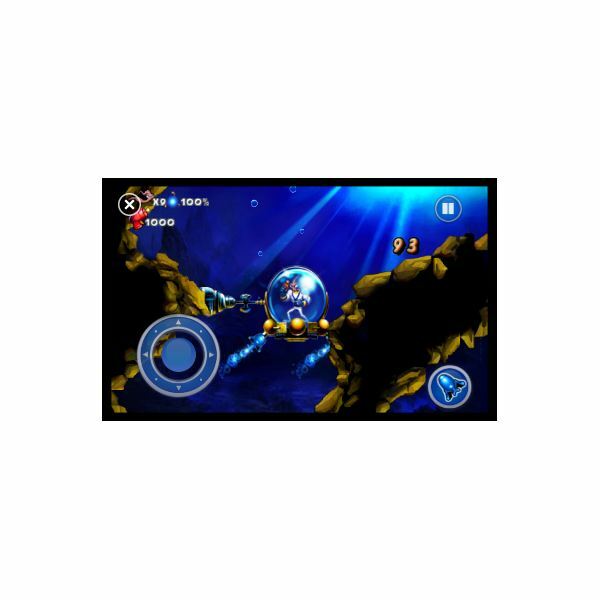 Easy to get to grips with thanks to the software control pad, Earthworm Jim HD on Windows Phone features clear controls that allow you to control the mutated worm character and allow him to blast creatures, jump and use his tail to swing around. Executing moves is generally simple, but requires some precision; after all this is a platform shooter. It is that game definition that hits Earthworm Jim HD most. The original title was a fun blaster that didn’t demand too much from the player other than time. However, migrating to a new portable platform 20 years on, even the inclusion of achievements and 200 Gamerscore points isn’t enough to stop Earthworm Jim HD from becoming quite repetitive, quite quickly. One strength of the updated Earthworm Jim HD is the quality of the graphics. They have been updated to high definition standard (as you might have gathered from the title) but remain evocative of the game’s 16-bit origins. The same character is there in Jim’s face, and the same textures have been applied to the game design, albeit in HD detail. Similar efforts have been made to keep the sound effects close to the original while bringing them up-to-date, and as you would expect from the Zune-based Windows Phone platform, the audio is pretty good. 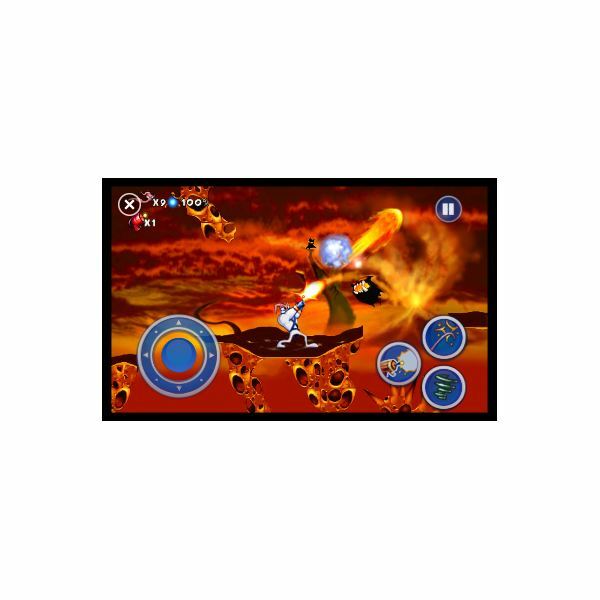 As with the majority of Xbox LIVE titles for Windows Phone, Earthworm Jim HD clocks in at £3.99 (UK price) and according to feedback reports in the Marketplace it seems to work well across all devices, with only concerns about “fiddly” controls appearing to mark it down in the eyes of some users (not something that this reviewer encountered). As for the £3.99 price, well, the prices came down earlier in 2011 from a high of £5.99, and I suspect this is where Microsoft will leave them for the time being. While more expensive than Android or iPhone games, neither of those platforms has Xbox LIVE integration – not my argument, but Microsoft’s understandable justification for the pricing structure. However, as an update of a retro title I would have expected Earthworm Jim HD to be priced at the lower £2.49 price point. This is a difficult one to summarize; as a big fan of 16-bit gaming, Earthworm Jim was never something that appealed to me, but the game has a big group of fans. As such when an update like Earthworm Jim HD is released on Windows Phone, someone is going to make a bit of noise about it. If platform shooters with mutated worms blasting birds and swinging around by the tail is “your thing” then Earthworm Jim HD is a title that you should be considering buying on Windows Phone. However there are a bucketful of better titles from this era that could be updated and brought to WP7, games like Turrican, Zool, Sensible Soccer, Worms, and many more. 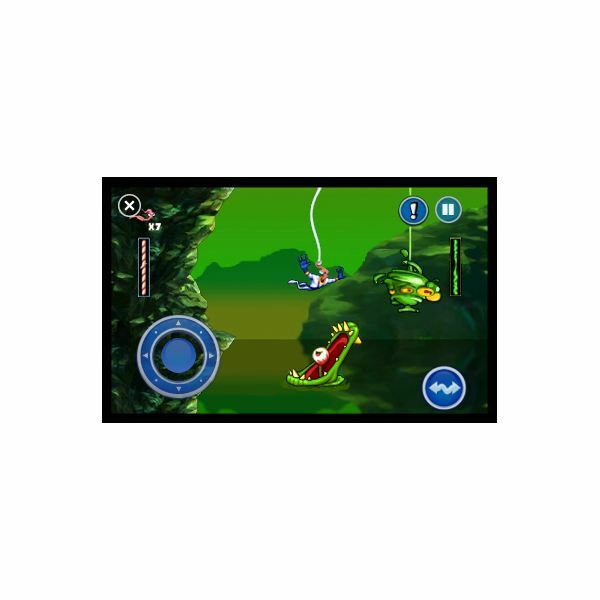 Like the mistaken recollection that the pop group ABBA somehow represent the disco era (as exemplified in the movie Mamma Mia), the presence of Earthworm Jim HD on WP7 feels nothing more than a token nod to an innocent era of gaming, offering a distorted representation of the time for people to look back on with affection, while ignoring the real gems. 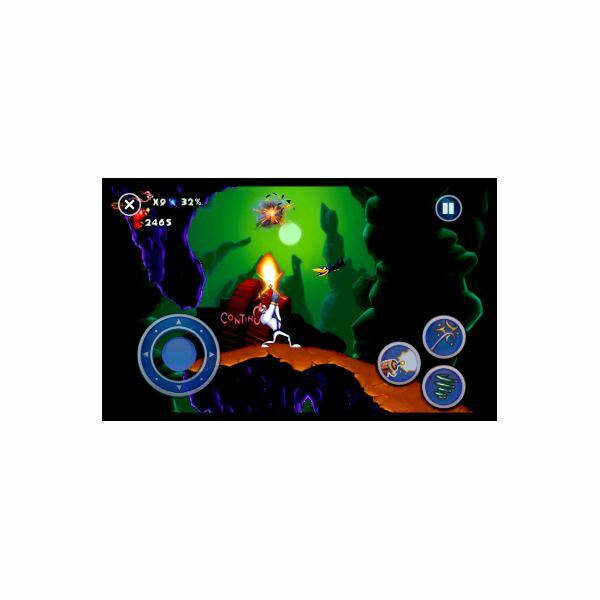 All references and screenshots from Earthworm Jim HD for Windows Phone 7.